You’re Listening to Spotlight On Locum Tenens on ReachMD in partnership with Locumstory-dot-com. Many doctors finish residency and then sign a contract locking them into a job for the next few years. Dr. Johnny Shen thought there must be an alternative, so he sought out other options and found locum tenens. I’m Tim Rush and joining me today is Dr. Johnny Shen. 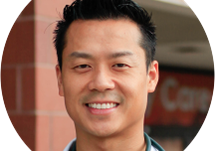 Dr. Shen is a family practice physician with CompHealth. At the end of residency, he wasn’t ready to make a multiyear commitment to a job he didn’t know he’d like. He also wanted to ensure that wherever he worked that he had a good work-life balance. He discovered locum tenens and has never looked back. Today, we’re discussing the benefits of working locum tenens right out of residency with our guest, Dr. Shen, Welcome to the show. Dr. Shen, what motivated you to try locum tenens straight out of residency? Okay, so for me it was kind of a no-brainer, actually. Right out of residency I just wasn’t sure that I wanted to sign a contract with a company and be set for the next 2½ years, since that’s usually the length of most contracts in primary care. As medical providers, we are kind of locked in as soon as we enter medical school, and that’s 4 years. And then, depending on the specialty we pick, it’s another 3 to 5, sometimes even 7 or 8 years out of medical school, so to me, that’s already been set in stone; so I figured once I’m out of residency, I wanted to have that option to discover what else is out there instead of just getting locked in right away after having spent so much time already in training, so I thought it was a really, really good option. In fact, I didn’t really even know about it when I first started residency. While you were doing your residency, were you already aware of the concept of working locum tenens? Where did you get introduced to the alternative route, if you will? I will say it was probably during my second or third year. 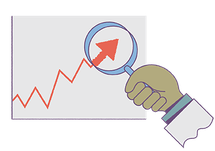 In the first year of residency, especially in family medicine, and I think most specialties as well, they wanted to give you a pretty good idea of the breadth of what your specialty is going to see, so they weren’t very, very focused on the career path itself. They just wanted you to learn the medicine. So around the second and third year they started delving into career options. However, in my specialty, at least in my program, the focus was on to finding something that you can sign up with permanently right after residency so you would get some stability. I mean, I’m assuming that’s kind of what the intent was. However, the idea of locum tenens started popping up when I was researching on alternate career paths out of residency. I knew I still wanted to practice medicine as a family physician. I just didn’t know what type of environment I wanted to be in. So I went on the Student Doctor Forums, and they had a brief section on career paths and contracts and all these different things, and there was one particular doctor on that forum that started talking about how great locum tenens was. And to me, that was a very foreign term at the time. I started reading, kind of actually stalking what her posts on those forums were about, and I realized, hey, she actually had a pretty good work and life balance, was making the money that she wanted to do and getting the patient satisfaction that she also wanted as a physician, so I directly reached out to her through the forum and asked whether she could give me some pointers and find out what does locum tenens mean, what kind of preparation I would need, and it kind of just blew up from there, and I was pretty interested and motivated right from that point on. So, locum tenens, it’s essentially temporary work. It’s multi-month maybe. Doing that full-time, has that created some uncertainty within your career or whether you’re going to have the next assignment? Right. So, actually, the way I thought about it was that it actually created certainty and not uncertainty because I felt like my options were pretty much open to me and I would always get some sort of job or shift or something that I always wanted to reach out to, and I could just get an agency to basically hook me up with some shift somewhere, so in that aspect I actually felt it was more certainty than uncertainty. With the permanent contract, I felt like, yes, I was certain that I would be locked into that facility and that job. However, I was uncertain whether I would like it, so that was kind of why I really got infatuated with the idea of Locum, because I knew somewhere sometime I would definitely get a job. I would have to think about what would fit with my personal and life balance, what my interests are. Of course, family members and friends, as well as colleagues, ask about locum tenens and say, “Hey, aren’t you worried that right out of residency you’re not going to be devoting 2½ years to something that might be stable?” And actually, in the beginning they have asked that, and I didn’t really think about it that way. I thought, “Well, do you know what? I don’t know what I’m going to like,” so it will perfectly fit my personality and my interests to basically sign up for something that’s only temporary, whether it’s a couple days, couple weeks or couple of months. It just kind of fell along, and I felt like it was really, really—it really jived with me. Great. Now I’ve been told that you often compare being a locums doc to being a rock star. These are 2 things that aren’t always put together, so tell me about that. Right. Yeah, I actually remember that line that I said. It was when I was flown down to the CompHealth conference at Salt Lake City, and I think I was on the Q & A panel when I mentioned that. I said it was kind of akin to being a rock star because I had an agent who worked closely to me from CompHealth as well as the fact that I’m not locked into 1 gig or shift. Basically, they’ll be out there searching for what I like and what fit with my personality and my work life, so that’s kind of like a rock star doctor because I’ll be on the road, I’ll know that, okay, the next full month I’ll be going here, I’ll be traveling there, I sign up for certain gigs, I do my job, and then if they like me, then I would be welcomed back. So I always thought that was kind of interesting as opposed to, well, this person just graduated residency, signed up with some place and ended up there and kind of just disappeared and had no other option. So for me, that kind of was very, very enticing. And to be honest, I was very excited about it. And when I tell people these things, they actually sound a little… (laughter) They sound a little jealous, actually, because they’re thinking, “Hey, you’re always off. You seem to be able to work when you want and take off when you want and be financially stable with it, and you just seem a lot more happy than the people who basically signed a couple years of their career and then found out they didn’t really like it.” So I think in that aspect I kind of draw that comparison, but that is kind of how I felt when I first started. 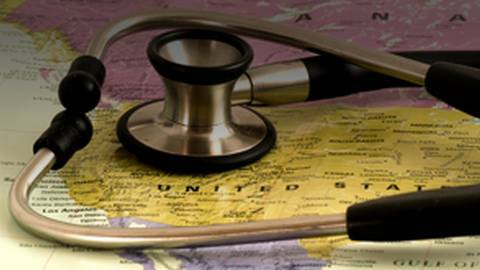 If you’re just joining us, you’re listening to ReachMD, The Channel for Medical Professionals. I’m Tim Rush, and I’m speaking today with Dr. Shen from CompHealth. We’re talking about the benefits of working locum tenens right out of residency. What advice, Johnny, would you have for other residents or medical students that are considering a career in locum? That’s a good question. Definitely, I would advise them to start exploring themselves, go online, go on forums, listen to other residents who are in the same place or people who have already become attendings and they are doing locum, and find out what the pros and cons and just reach out to them. I felt like I, among all the other peers, it seemed like I was the only one who actually reached out to certain doctors and asked them, ”Hey, what is this locum tenens thing?” And even some of them, they have done it only temporarily but then they wanted something that was more permanent, but then for me that always kind of felt like that was not—that was not what fit with my personality. So, if I had to give advice, I would definitely say start early, know that there’s something out there that is not traditional. Even though the program might kind of point you a certain direction, that does not mean you have to follow it. 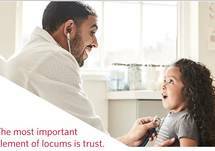 If you like medicine but you want to practice the way you want and have a really good work and life balance, then locums is definitely something that you need to consider. How do you usually explain the concept of locum tenens to family members, friends that knew you were doing medical school, you’re moving into that direction, and they don’t fully understand why you’re not in a traditional role? Yes, so that does come up from time to time. Especially, I think my girlfriend’s parents or even my own family members have asked like, “Hey, Johnny has been in medical school, residency, and now he’s out. Why doesn’t he have a job?” And I tell them, “I do have a job. I have a job all the time. I just happen to work when I want to and have time off to go on vacations and do mission trips and enjoy my life when I don’t want to work.” So I tell them, “That’s pretty much the best of both worlds for someone like me,” and I tell them, “Traditionally, the traditional job where you sign up with a contract and work 5 to 6 days a week, that’s just something that I personally did not want to just jump right into.” So I tell them that, and they actually get really excited for me. They understand, “Oh, so that’s what it is,” as opposed to thinking I am just scrapping around looking for temporary work because I can’t find a permanent job. It’s the exact opposite. I actually tell them, “No, it’s because I choose to because this is actually a lot—a better fit for me,” and I feel like compared to a lot of my colleagues, I don’t have to sign my life, per se, away and find a place to live and make sure that my partner or my family knows where I am for the next couple years. I like to be fluid, I would say, and that really helped that I chose locum tenens for it. Now, with the many I’ve spoken to, there’s no question the value of work-life balance that locum tenens gives. But with that, are there any tradeoffs with your patient care, the relationships that you build, the continuity of seeing the healing process? Tell me a little bit about the relationship as a physician to a patient. Is that affected in locum tenens work? I would say it definitely does have a little bit, because there are patients who tell me, “Oh, you are such a great doctor, and I wish you were my primary care doctor, and I want to be with you, and I’m going to be here forever so please stay around,” and I tell them, “Unfortunately, I’m only here for a couple months. I’m moving somewhere else,” or, “I’m only going to be here once every month or so.” And then you kind of work around it, because then the patients would say, “Okay, well, next time you’re back I will see you again.” So I think in that aspect it kind of works out. But, yes, if you are doing certain things for only a week or you’re filling in for a weekend for some doctor who happened to have a medical emergency or family emergency and they couldn’t work, then yes, that itself you would have to be very clear to your patient that, unfortunately, I’m not your regular doctor, and I’m going to have to do the best I can for you at this point, but I will be taking off and you will follow up with your regular doctor once they come back. However, you definitely want to make the point that you are bridging the gap for them and you’re not going to detract from their good care just because you’re a locums physician. You want to still practice evidence-based medicine and do the best you can as a physician. So I think in that aspect it depends on how you view it. 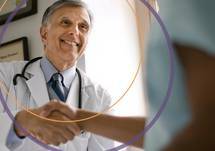 If you are a physician who really, really values that sort of personal relationship with your patient, the provider and patient relationship, and you want to be with them and grow with them, then yes, with certain locum assignments that’s not possible. However, there are locum assignments that last for years or last for several months, so it really depends on what kind of assignment you’re looking for and what kind of satisfaction you’re trying to get. I mean, even in specialties such as emergency medicine, anesthesiology, they don’t see their patients all the time either, so it’s not that much different. Emergency medicine, they’re not seeing their patients, the same patient every day, so in that aspect I really think it still works out. That’s great. Well, it sounds like locum tenens has been fantastic for you straight out of residency. How long do you anticipate doing this, and do you ever think about settling into a practice and taking a permanent contract? What are your thoughts there? That’s a great question. Yes, I definitely plan on doing it, I would say, forever in my medical career. Since I am family medicine trained, the wide breadth of things that I do get to see allows me to keep doing it, and I feel like as long as I am licensed in several states and get all my certifications up-to-date, then it keeps me going and I can travel and do a couple months here, do a couple weeks there. And I think it’s absolutely you can definitely do a permanent contract while you’re still doing locum tenens. Those 2 are not mutually exclusive. You can always have a permanent contract with some place and then do locum tenens once you’re in another state, and that is kind of how I’m approaching it right now, and it’s a really good balance. I still travel back from Colorado to Texas every month, and when I’m in Texas, if I have some down time and I want to make some extra cash (laughter) and kind of get my—and also just in terms of my own practice satisfaction, then yes, I would definitely sign up for some shifts while I’m there. I’m also licensed in California and Oregon, so those are all good opportunities, and I’d like to keep that kind of still up-to-date. That way I can always find a job when I need one. Well, Dr. Shen, many thanks for joining us today. I appreciate the call. I’m happy to discuss all these things with any budding residents or people who are trying to explore an alternate career path. I’m your host, Tim Rush. To access this episode or others in the series or download the ReachMD app, please visit ReachMD.com. We encourage you to leave comments and share this program with your colleagues, and thanks for listening. You’ve been listening to Spotlight on Locum Tenens. To download this program or others from the series, please visit ReachMD-dot-com-slash-Locum Tenens. This series is produced in partnership with Locumstory-dot-com. Thank you for listening. A lot of physicians have questions about locum tenens. Basic questions like, "what is locum tenens?... to more complex questions about pay ranges, taxes, various specialties, and how locums works for PAs and NPs...And then there's the big question: Is it right for you? Go to locumstory.com and get the answers. Transitioning into long-term work contracts after residency can feel limiting. That’s why more young physicians are turning to locum tenens work. Dr. Johnny Shen, a family practice physician trained in Houston, TX, investigated whether there could be another way to achieve work-life balance early in his career. What he discovered was locum tenens. This aha moment set him on a unique and fulfilling career path that has both defied his expectations and changed the perception of the healthcare industry. How does locum tenens pay and salary work?